We know that Slade always keeps his promises, and with how Oliver left him at the end of season two, Slade is probably dying to keep the promise he made to him! 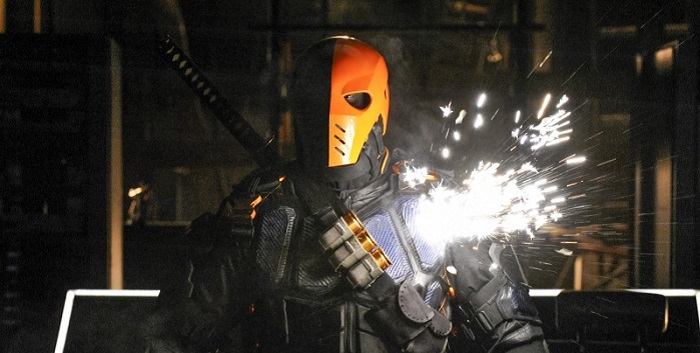 Well it looks like he might get that chance later on this season, as MTV has revealed that Manu Bennett will be reprising his role as Slade Wilson in the 14th episode of this season! Unfortunately though, they could not confirm in what capacity he will be returning, so we don’t know yet if it will be in flashbacks, or in the present time. But regardless of how he is used in this episode, I’m definitely excited to see the character return this season no matter how he’s used!